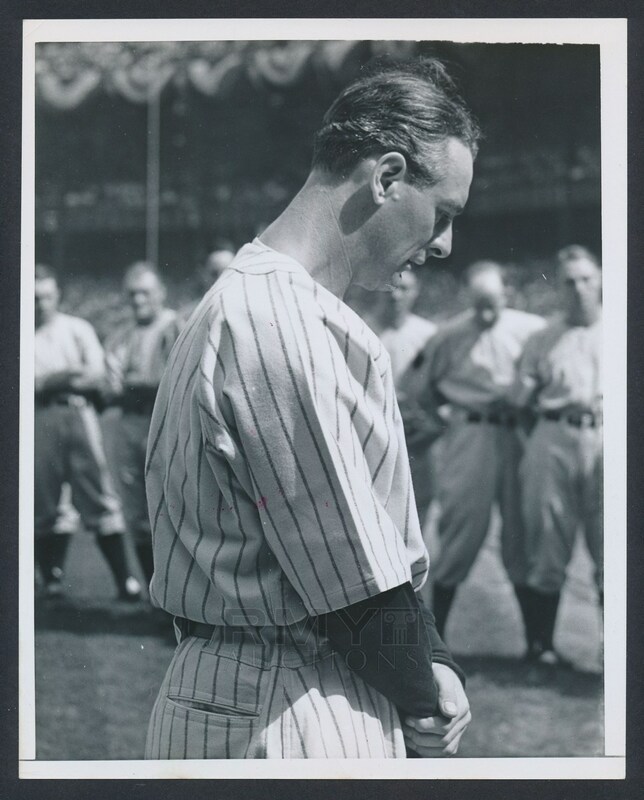 1939 Photograph of Lou Gehrig poignantly gazing to the ground in full uniform as he addresses the crowd at Yankee Stadium during his famous "Luckiest Man" speech. An incredible image struck from the original negative in great condition. This particular example dates to about 1947-49 which is only 8 years after the original making it one of the earliest we have ever seen! 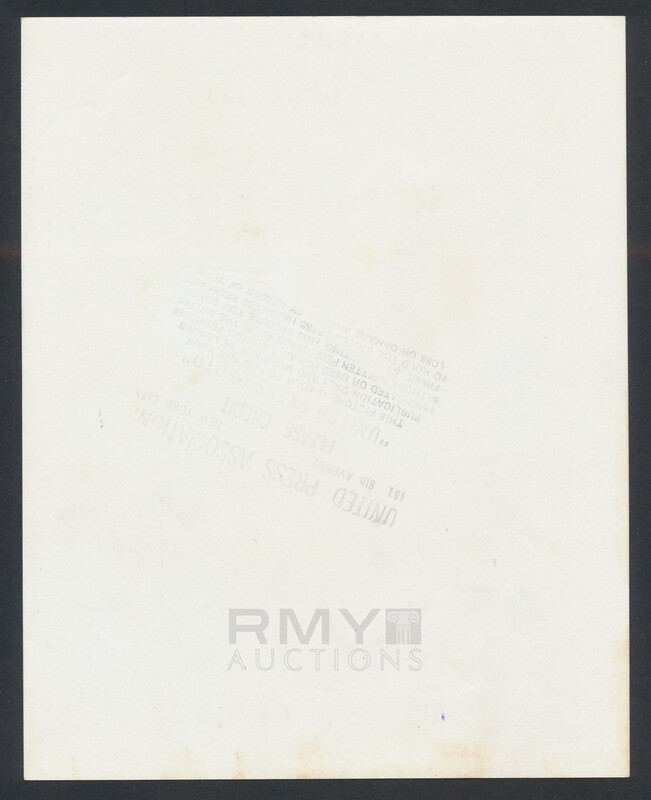 Issued by United Press and stamped on the back, this is one of the most important Gehrig images ever taken!